The installation, titled "Eeny, meeny, miny, moe," is by San Diego-based artist Andrea Chung, who was commissioned to create a piece of public art related to gentrification. The baby bottles are molded from salt, sugar and lard, representing the abundance of fast food and lack of grocery stores in poor neighborhoods. 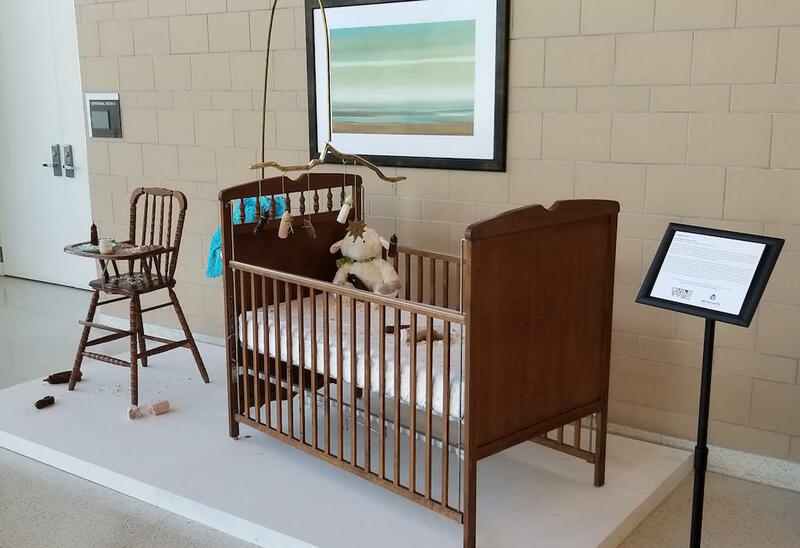 The crib and highchair draw attention to the high rate of death among black infants and their mothers. Suspended above the crib is an arched mobile in the shape of Interstate 40 as it cuts through North Nashville — it symbolizes how the highway divided the city's historically African American neighborhoods. "It's definitely all related," says San Diego-based artist Andrea Chung. "I think it's discussing a lot of institutional racism that is prominent in pretty much every single city in the country." Chung's installation, titled "Eeny, meeny, miny moe," is scheduled to remain on display until September. It's part of a broader project targeting communities impacted by gentrification and funded by the Metro Arts Commission called "Build Better Tables." "You can push people farther and farther out, but the problem is never going to go away," Chung says. All of the artists received $10,000 stipends to complete their projects. Chung's project also involves three nutritional cooking workships to be held through the summer with expectant mothers. 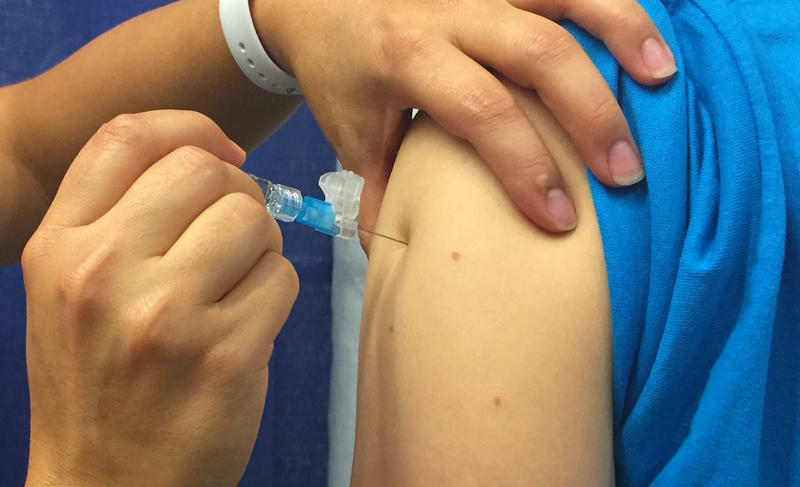 Nashville has become the latest city managing an outbreak of Hepatitis A, a preventable liver disease. The Metro Health Department has confirmed 14 cases — most of which appear to be linked — and expect many more over the coming months. Some neighborhoods on Chicago’s south side, as with other of the most low-income parts of the US, have an alarmingly high infant mortality rate. It’s a persistent and complex problem that doctors are trying to tackle. But resources can be scarce, so they are thinking creatively, which has led them to look to an unlikely role model: Cuba. 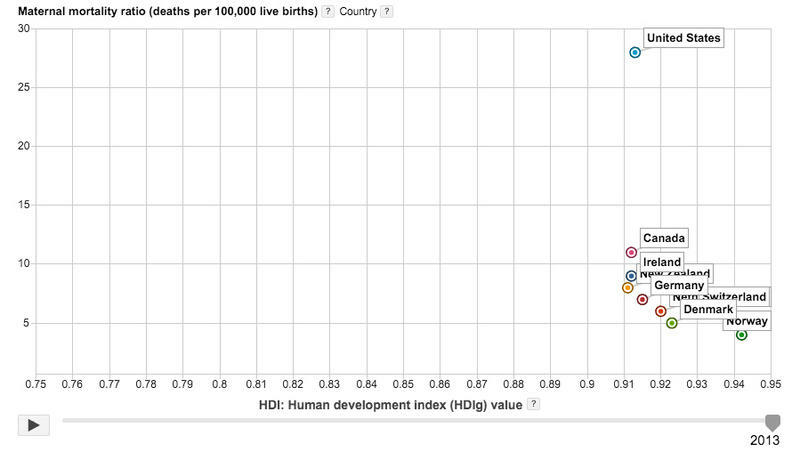 That's the ranking of the US in the latest Human Development report by the United Nations Development Program (UNDP). But in terms of gender equality, the survey finds, the US is Number 55. And our ranking is slipping, pointing to some underlying trends that are disturbing for women. Norway comes out as the best place to live in the world, and Niger the worst, according to factors that include life expectancy and income.